Collecting Kasing Lung's very popular figures from outside of Asia can be quite difficult unless you make trips to the larger conventions and release events in Hong Kong, Taiwan, Thailand and more. 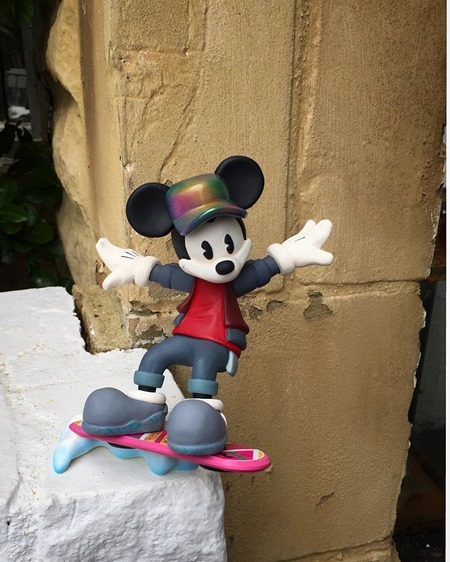 So, we're happy to report that myplasticheart is offering both Lucky Zimomo and Burning Zimomo via lottery. The Lucky Zimomo is based on the traditional lucky cat white,red and yellow design. From traditional to special FX, the Burning Zimomo features translucent amber vinyl with dark spray and tinsel inside to simulate the little guy being on fire. 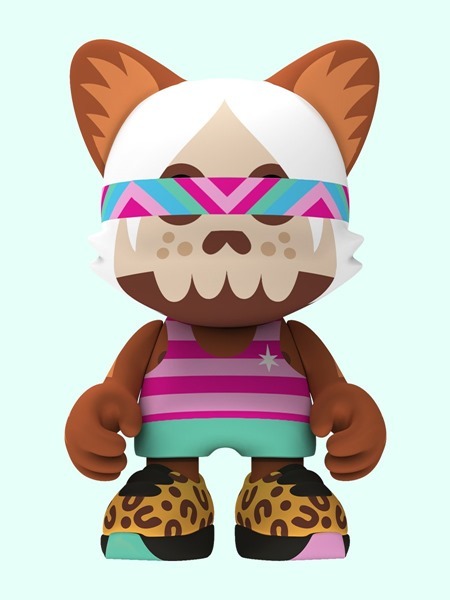 Both of the Kasing Lung soft vinyl figures are available via Lottery -- $129.99 for Lucky Zimomo and $139.99 for Burning Zimomo. Each requires a separate entry but shares much of the entry process. Drop an email to [email protected] with the subject of either 'Burning Zimomo Lottery' or 'Lucky Zimomo Lottery' (depending on what you'd like to buy) and be sure to include your full name, shipping address and your myplasticheart account email [if you have one]. The lottery closes on Friday, February 8th at 2 PM PST. Winners will be notified to arrange payment on Saturday (2.9). If you'd like to enter both lotteries, you'll need to send a separate email for each with the appropriate subject lines. Good luck! Amanda Visell has just released a special Wonderland Cat Bust Trio. 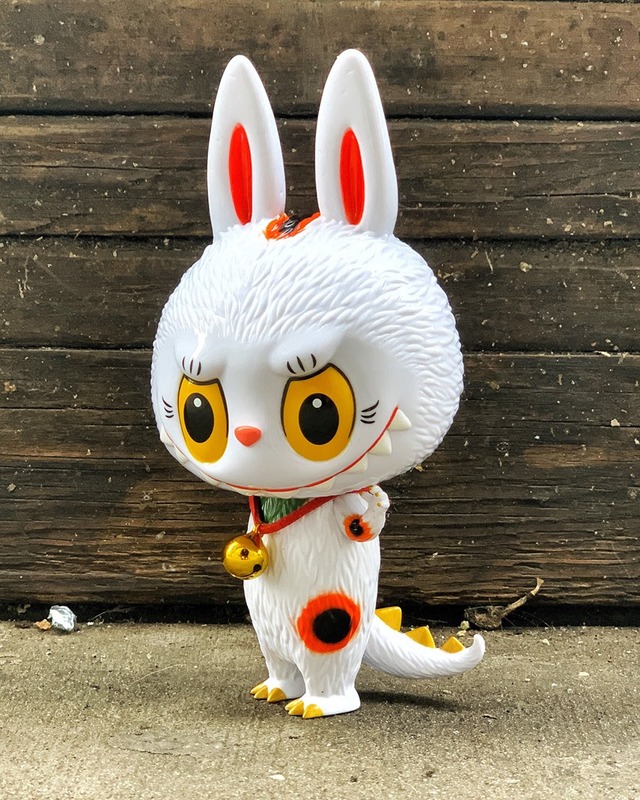 While the previous releases featured three fairly similar resin cats, this clever new version recreates the magic of the timeless story with cat versions of Alice, Rabbit and of course, Cheshire. 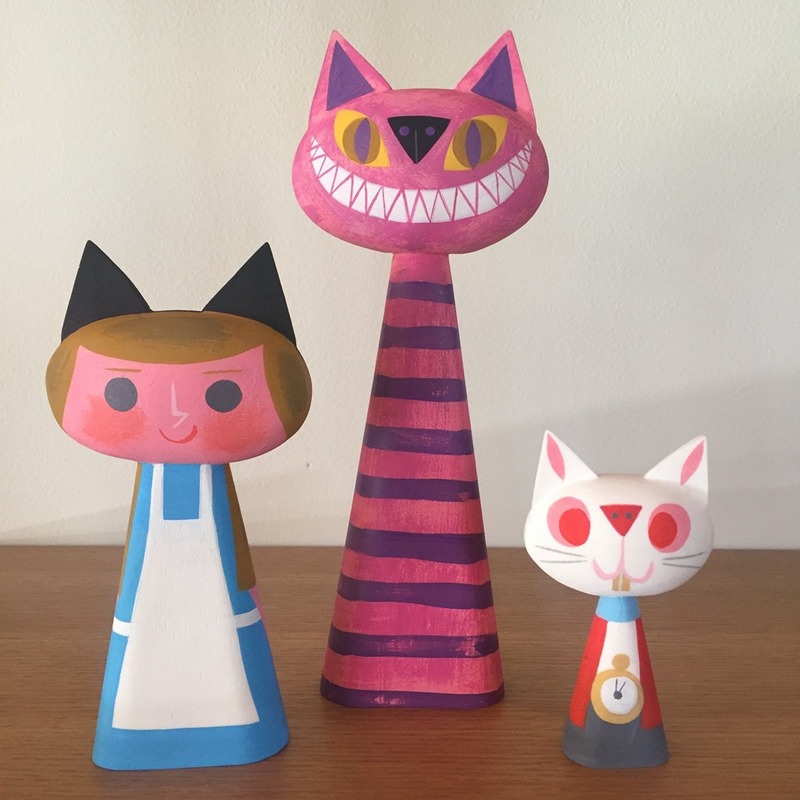 The charming Wonderland edition delivers the signature AV magic with the three character cat busts (10", 7", & 4.5"). Limited to ten sets, the Wonderland Cat Bust Trio is available now for $350 directly from Switcheroo. These are scheduled to ship in 2-3 weeks. After an initial quick sell-out yesterday, Umi Toys Hawaii has announced they have more Chinese New Year edition blindbag sofubi figures from Jerome Lu. There are four monkey designs in red + gold for a total of eight different figures. They are however running low on the red envelopes + laser-etched wooden coins that came with the initial drop yesterday. If supplies do run out, they will add in another bonus item instead. 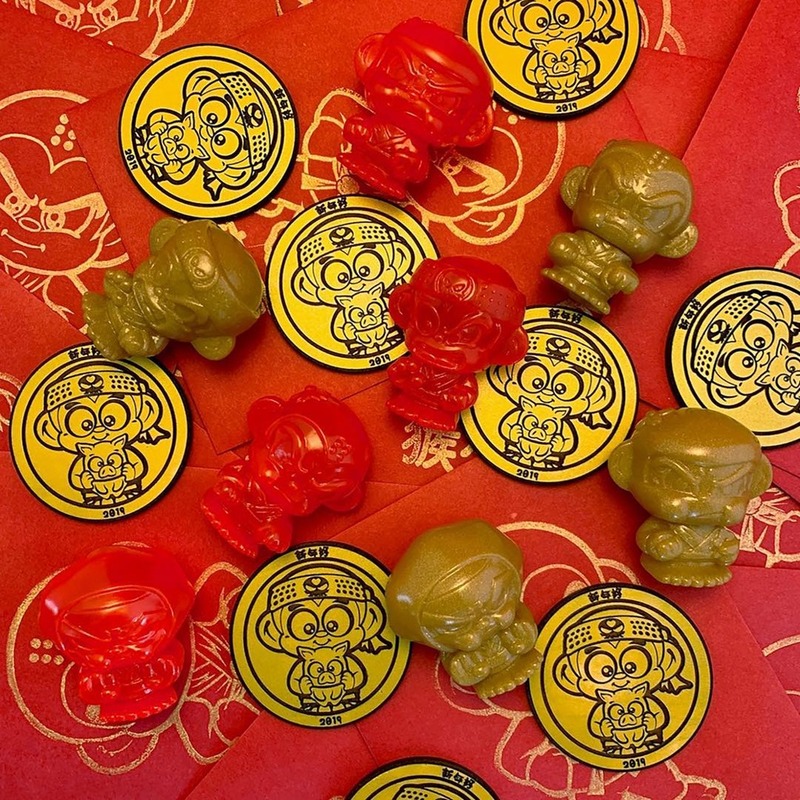 The CNY Sofubi Minis are available now for $15 direct from Umi Toys Hawaii.